We now enter the tenure of Cancer where all things homely and nurturing are celebrated. 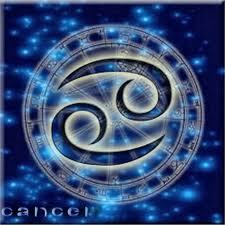 Cancer is the sign of the Great Mother of us all and inspires consideration of what soothes and nourishes our deep inner domestic and personal needs. Angel Muriel feels wonderfully soft and feminine with a wonderful aroma of all that is comforting about being ‘home’ – that being wherever your heart is. This angel comes with the feeling of your favorite person who makes everything right again. Muriel’s energy is soothing and calm and touches on the issues of reticence, self-reliance and contentment. It is a gift indeed to be confident and self-contained, without being too withdrawn and detached from the world. Again Muriel stresses balance in motion. Know your truth and grow that into your power rather than being afraid of it. Trust your instincts over your intellect. Crystal wise – work with Opal to overcome a fear of visibility and accountability and Rhodochrosite for releasing trauma/negative emotions and re-balancing the heart chakra.